Birthday parties can see the best of us either running for cover or desperately seeking new and innovative ideas for achieving the perfect birthday party. And when it comes to teenagers, things become even more desperate! We need help! And that’s what we’ve tried to achieve in this article. 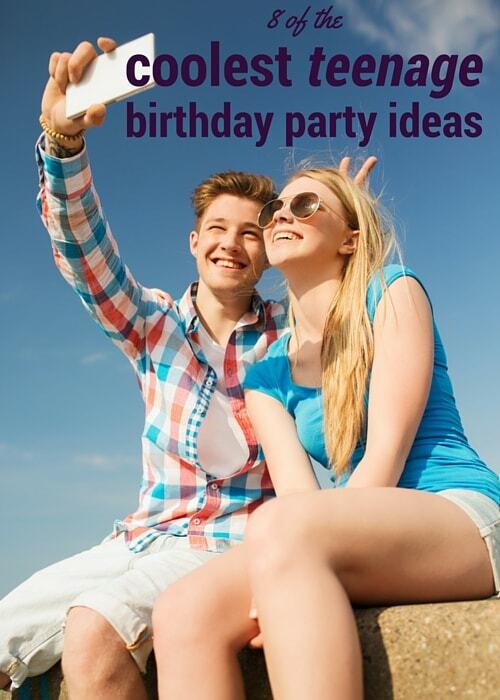 Here you’ll find some rather unusual but spectacular teenage birthday party ideas, for both teenage boys and girls. Enjoy! Teenagers are not always the easiest members of the family to please, but we think you’ll find some really great ideas here for your teen’s birthday party. The food ideas presented on this site are perfect for any teenager’s birthday party, and there’s a fabulous beach party cake, complete with instructions – plus there’s heaps of ideas for games, crafts, and other ways of entertaining your teenager and their friends on this special occasion. Now this is a fabulous idea for your teen or tweens birthday party. The idea is that you design your own birthday invitations (or purchase the ready-made design) by submitting your information using the Etsy link above. Include the type of event, name, date, time, address of event, and RSVP information, and your custom invitations will be created for you. Within 48 hours you’ll receive a proof of your invite, ready for checking. The online reviews are excellent, and it seems that they’re extremely helpful when it comes to making alterations. 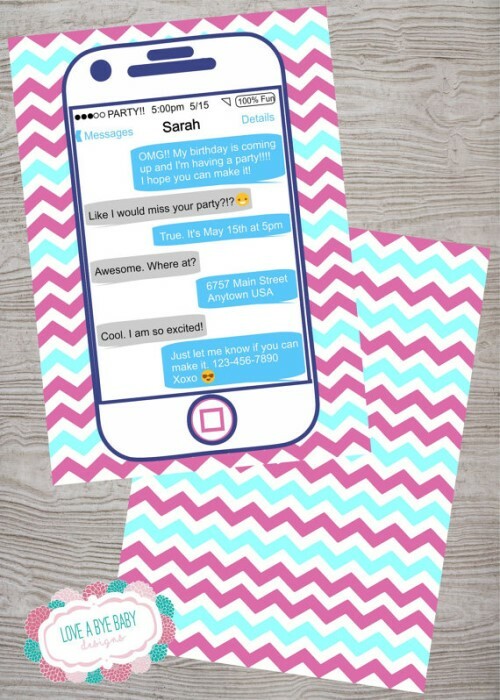 All the instructions are clearly explained online: we think your teen or tween will be pretty excited about this birthday party invitation. 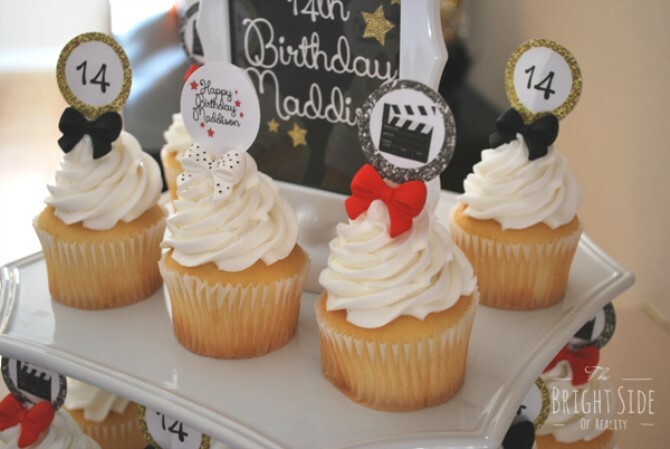 An awesome movie-themed party for 9 teenagers, all for under $90! Many parents will be eager to know just how to achieve keeping 9 teenagers happy at such a budget cost. When you check out this party online you’ll see that this was no cheap birthday party – everything looks smart, elegant, and extremely delicious. And the best part: all the items and their costings are clearly set out for you. Definitely worth checking out! 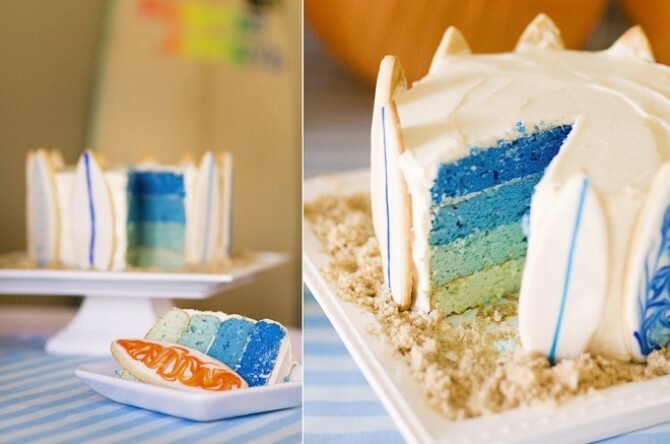 This fabulous birthday party was for a 7-year-old boy who simply loves surfing, but really, this theme could be used for any boy or girl of any age who loves the sun and surf. This party atmosphere really does look spectacular – the colours are amazing, and have a look at the Shark Punch! The idea itself, the food presented here, and the bold use of colours is really quite amazing. And if you’re interested in the printables to host your own surfing birthday bash, simply go to the Etsy shop ‘Party Papers’ and purchase your own set! So much thought has gone into making this birthday party a smash hit. There’s no way anyone could be bored at an event like this Amazing Race birthday party. The idea is that the party be held in your own backyard or perhaps at a local park, but there’s no driving around required. 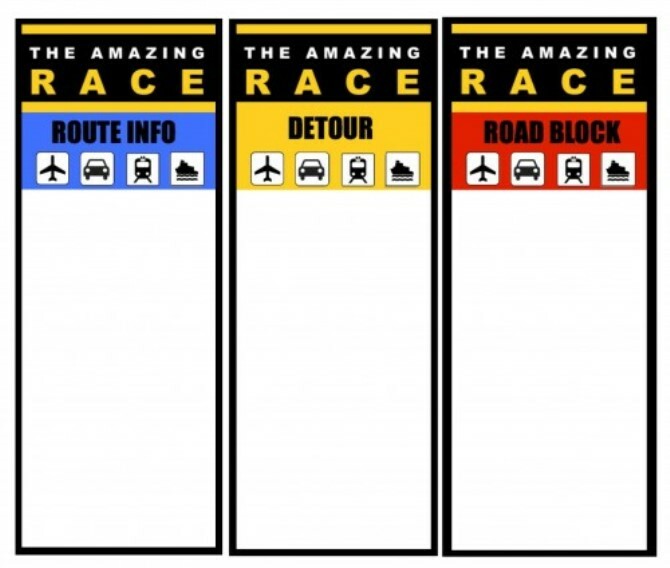 Check out this post online and you’ll see there are free printable Amazing Race party invitations, game clues for the Amazing Race, and perfect Amazing Race thank-you notes. These cool invitations can be emailed, or printed and mailed. The online instructions are very clear and easy to understand. 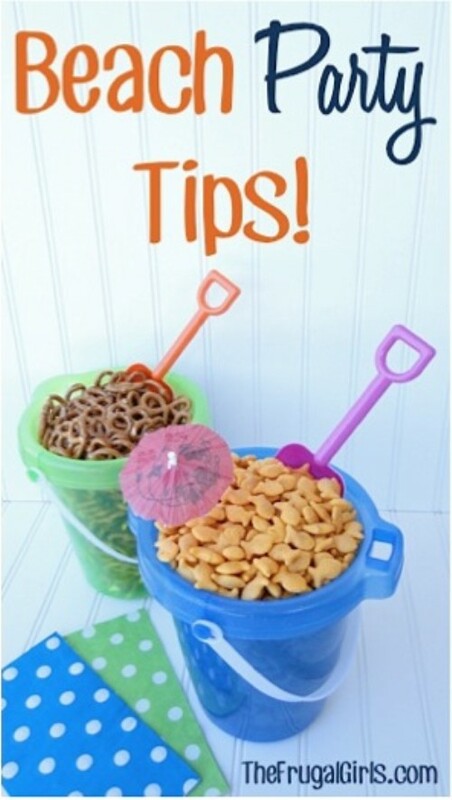 This is a fabulous idea for any teenager’s birthday party! What an idea for a birthday party! 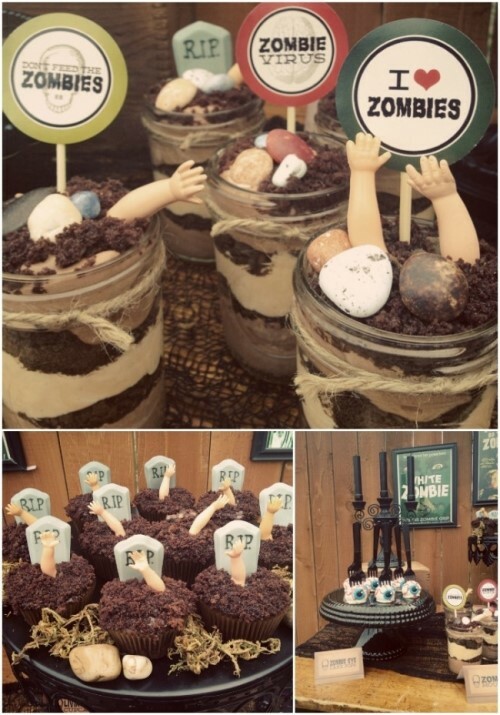 This Vintage Zombie Themed Halloween Party might be one of the most perfect teenage birthday party ideas for a teenage boy or girl who loves The Walking Dead or other zombie-themed shows or books. You must admit that this is a pretty spectacular party idea. And what about the food! Besides sending chills up your spine, there’s some really delicious party fare here. So, if this is something you think you’d like to try, then have a look online and you’ll find links to the main items shown above. If your birthday teen gets a thrill out of being spooked, then this Vintage Zombie Theme Party might just do the trick! 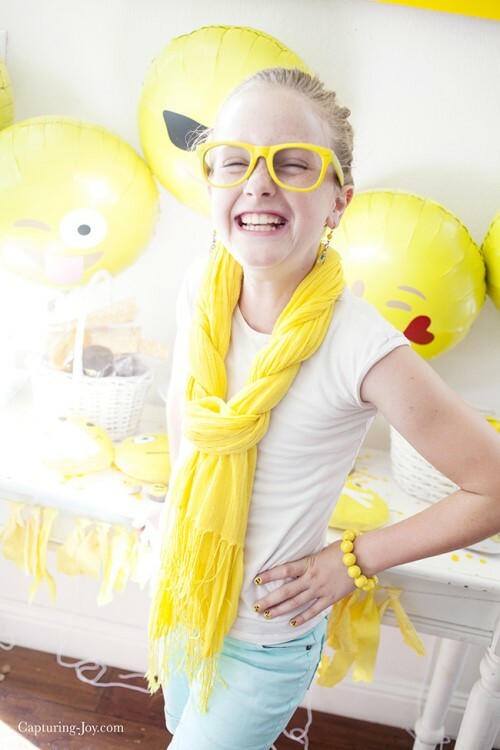 It turns out lots of kids love emoticons, and the way the colour yellow has been used at this fun Emoji Birthday Party is pretty special. These kids certainly had a great time -you can follow the party photos online. Another thing we really loved about this article and its comments involved the etiquette in sending out party invitations – who to invite, how many to invite, and so on. If you’re looking for something different for your teenager’s next birthday party, then an Emoji Birthday Party could be just what you’re looking for. Check it out online – you’ll get plenty of ideas from simply scrolling through the photographs. Your birthday teen and their lucky guests will feel very special at this fun and colourful party. Fabulous! Who can resist a birthday party with a Scavenger Hunt? 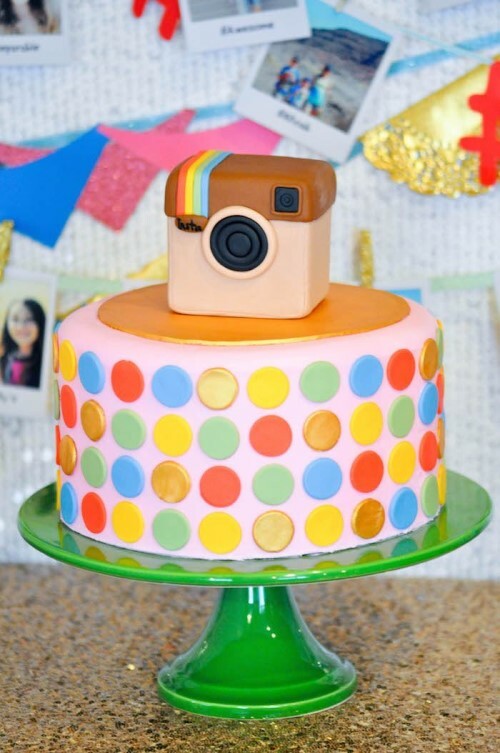 It’s easy to see that this Glam Instagram-Themed Birthday Party was a massive hit! (Just check out the photos). It’s bright, it’s glamorous, it’s fabulous and it’s a lot of fun – what more could anyone want on their birthday? Check out the fabulous backdrops, garlands, banners and the fringe: there are many impressive ideas here for a teenager’s glamorous birthday party. We hope you’ve enjoyed this article showing some rather impressive and flamboyant ideas for teenagers’ birthday parties. There are certainly some very creative people out there, and we appreciate their generosity in sharing their fabulous ideas with the rest of us. Birthday parties are such special occasions, so once you’ve organised and achieved the most amazing birthday party ever, don’t forget to immortalise these precious memories on canvas. We’re here to help you achieve that!